I don't have it yet. It isn't even made yet. Sorry if you were looking for some gearpron. 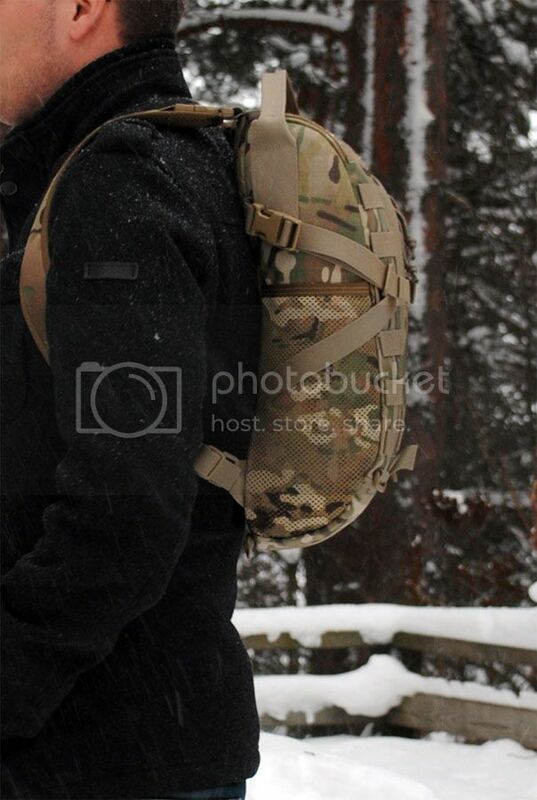 Not long ago, he posted a picture of a Ranger Green daypack though, and I can definitely live with RG. So after I relented on my finicky specifications and allowed him some creative freedom, finally he's making it! No idea how long it'll take but it will be awesome. 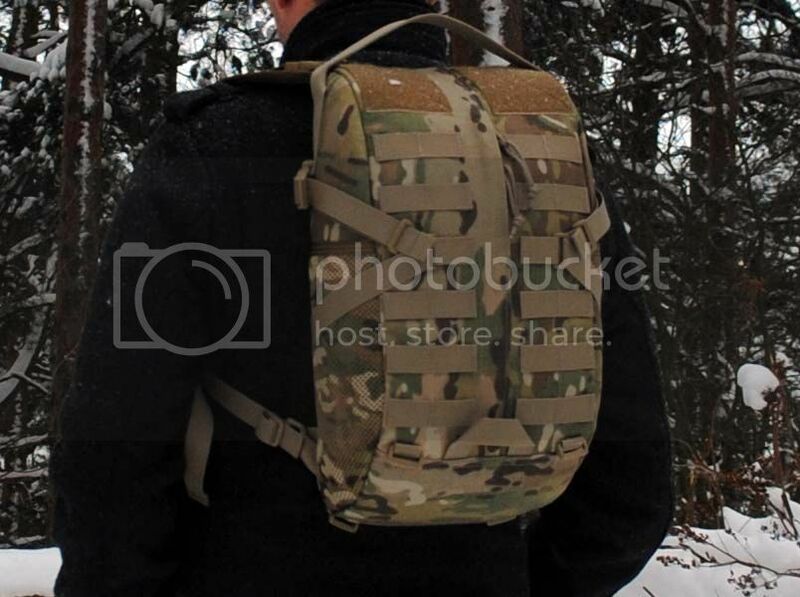 Custom tailored packs? Oh man, this I like. Good looking bags too. Can't wait to see yours Corbs. I'd be very interested in a review once you get it. Looks like a damn fine bag. I know and each seems to have very unique features. There are a few people doing it, but none to this standard, apart from the big manufacturers, who don't want to do a one off like mine. I'm also quite fortunate to be paying him in Euros while it's so weak! Of course, don't think it'll be for a while yet sadly. I did not build this pack with keeping any military application in mind. This falls into the "tacticool"-category. Why did i build this, then? Just for the fun of trying something new. I did know before i started this project that running the zipper vertically across the front panel, is not the most practical zipper set up, but i wanted to do it anyway. Backpanel, sides and the bottom are padded, so the pack holds it´s shape even when it´s empty. The mesh pockets on the sides are so wide and deep, that i could get away without making pleats for the pockets. Like i said, not the most practical pack, so i doubt that i will use this much, but i kind of like how this looks.. It´s... cute..
Edited by Corbs, 09 July 2015 - 11:12 AM. I could see this one being awesome if the zipper went a full 180 degrees on the bag so you could unzip it fold it in half and have two pockets facing upwards basically unzip it and it turns into a tool tote. Next stage, the inside of the back panel with molle and Velcro. He was very reluctant to put Velcro up top as the molle obstructs it, but it's what I wanted. 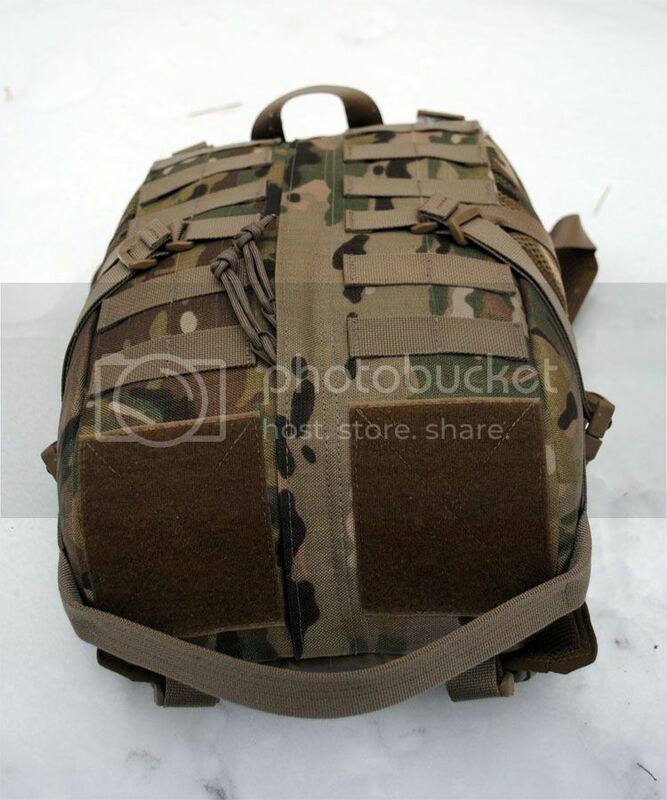 You can stitch pile tape onto the molle webbing as well creating an uninterrupted field of velcro that also has the pals webbing. The front of my Mayflower APC uses that method. That was considered as an option, but it makes each webbing row quite bulky, and isn't really needed for my purposes. As this pack is custom, only my purposes are catered for! New update, back panel and sides are done, straps and front to go now! A lot more pics now. I was very lucky to jump the queue, he usually has a lead time of 2-3 months. 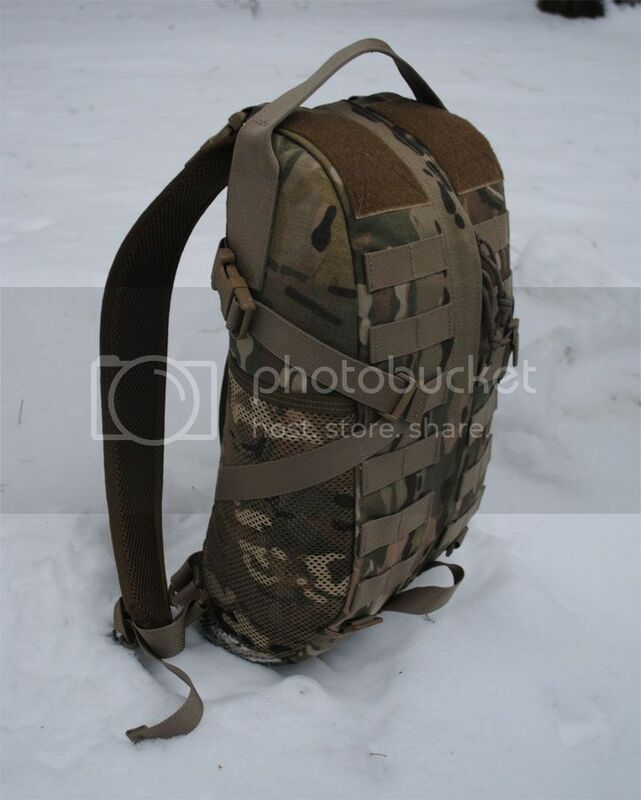 As you can see, this is a pretty specialised pack, won't suit many people's needs, but fits mine perfectly. It's super slim, lined with Velcro and blaze orange, with a few lines of internal pals. 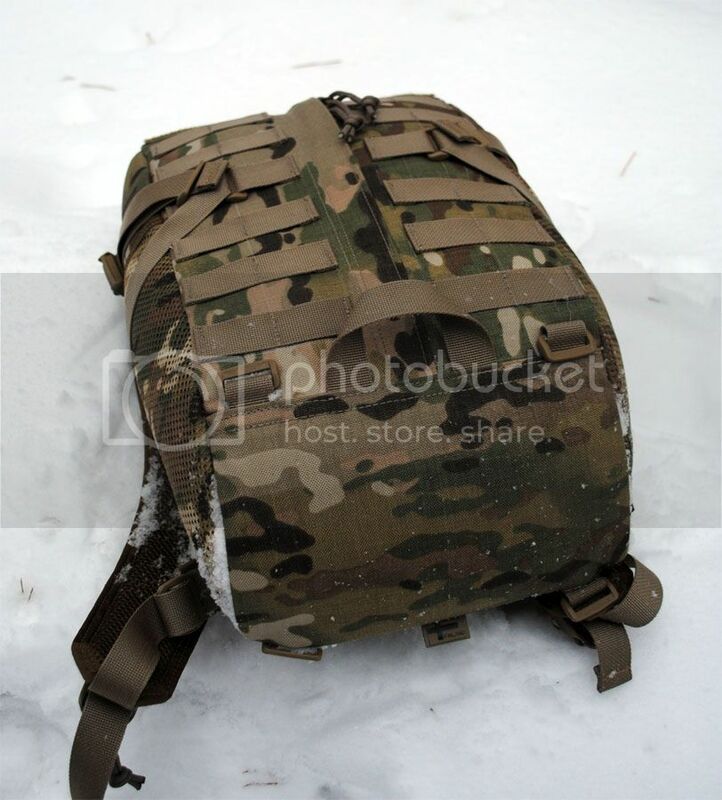 There's the facility to remove the shoulder straps entirely and fit the bag onto a larger pack or load bearing equipment. Straps are now all that's left to be made. 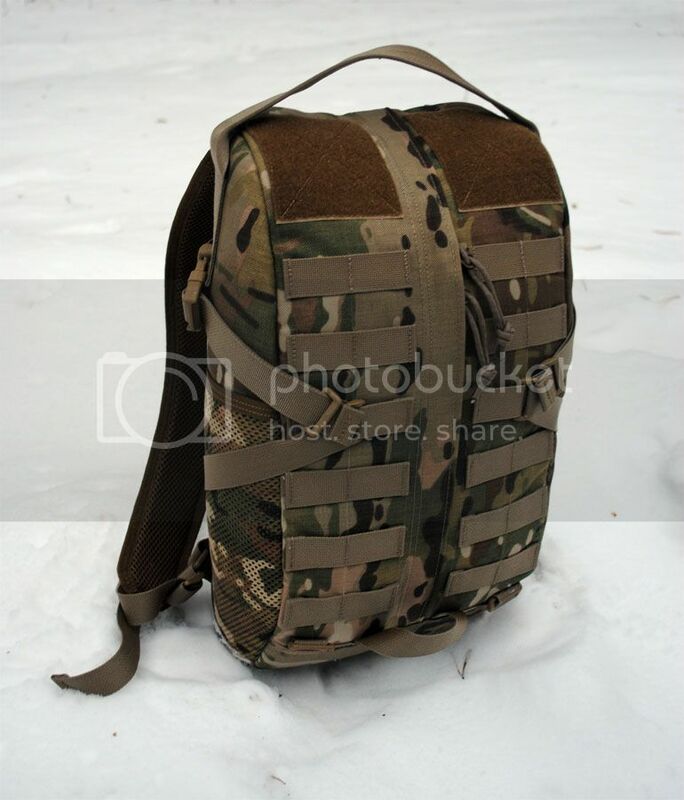 That was the deal breaker on my options, I had a tactical tailor removable operator pack and used that facility more often than I ever thought I would. Check out the TT bag and the MSM Adapt pack. They're great bags. 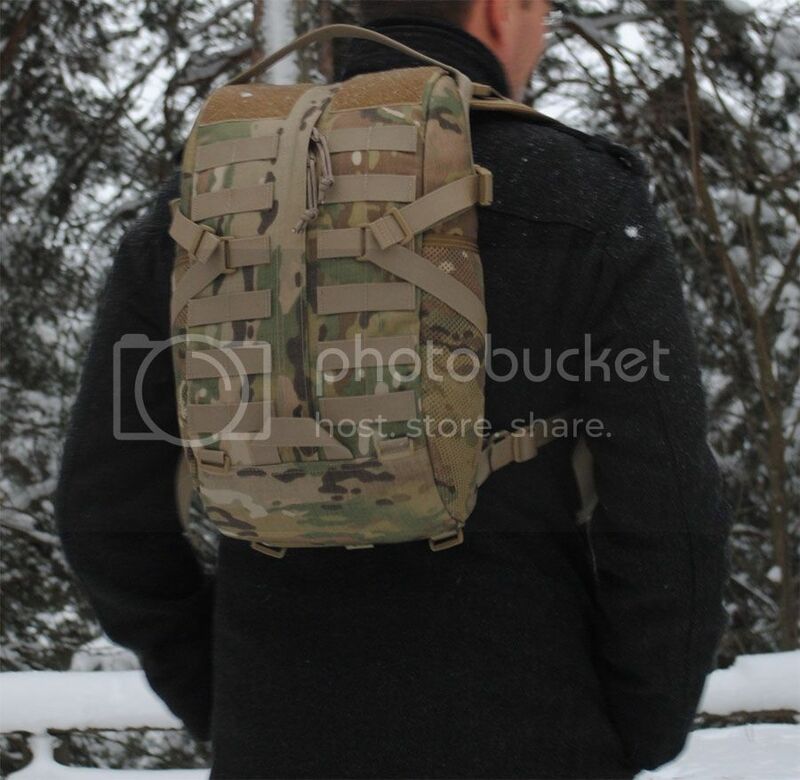 Damn fine looking bag; I like the size of the pack in your first post more but your pack looks like a great way to stay light and fast.